Coraline Mini Me Charm. 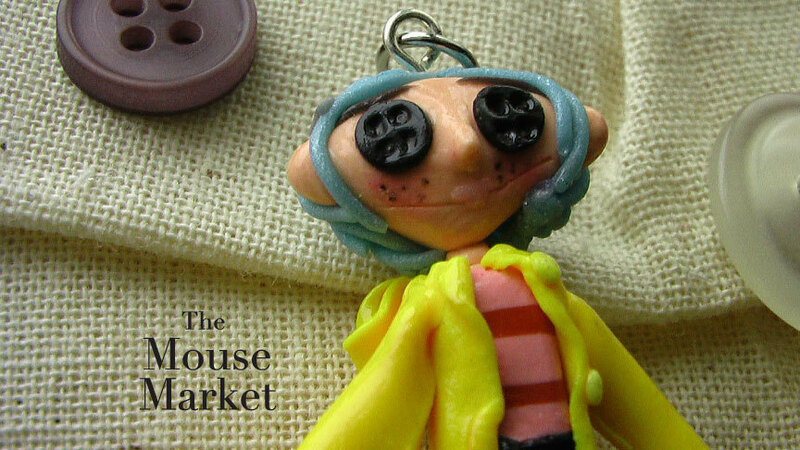 Coraline Mini-Me Charm, handmade entirely from polymer clay. Visit my Etsy ショップ to see もっと見る pics:. HD Wallpaper and background images in the Coraline club tagged: coraline doll mini me miniature coraline character. This Coraline fan art might contain ブーケ, コサージュ, 花束, 小さな花束, ポーズ, and ノーズゲイ.